Home Food What Mainstream Media Isn’t Telling You About GMO Foods! Excerpts Courtesy of GM Watch, BanGMFoods.org, et al. You need Non-GMO & Organic Foods to be truly healthy. What you don’t know about GMO foods is just part of a much larger problem – one of particular importance to raw foodists! 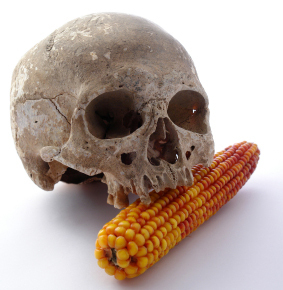 GMOs are probably the biggest threat to your health (and the health of our planet) in modern history. Personally, I think it is a bigger, more immediate threat than even Global Warming or Fukushima! To be successful and healthy as a raw foodist we MUST have access to healthy non-GMO and organic foods. You see, the #1 enemy of organic foods are GMOs (Genetically Modified Organisms). Even conventional non-GMO foods are a huge improvement over GMOs! GMOs not only threaten to put organic farmers out of business, they actually do that every day when they contaminate organic and conventional crops with genetic drift – GMOs that float through the air contaminating nearby fields. GMO Frankenfood companies like Monsanto actually have sued the poor farmers they just ruined for growing their patented crops — and often win! They try to control the courts with a combination of deep pockets, armies of lawyers and who knows what else, though lately farmers are starting to get the upper hand with these ludicrous cases! 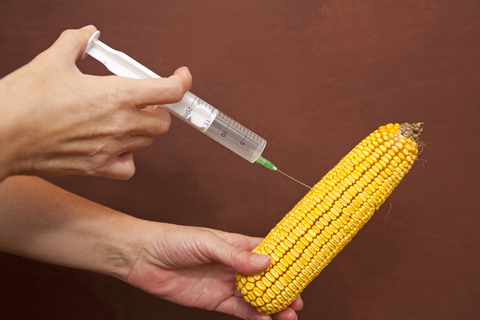 The promoter used in nearly all GM crops permanently turns on the foreign gene at high output. Scientists had thought the promoter would only turn on the foreign gene, but, in fact, it can accidentally turn on other natural plant genes–permanently–genes that may overproduce an allergen, toxin, carcinogen or anti-nutrient, or regulators that block other genes. When certain viruses infect an organism, they splice themselves into the host’s DNA. If the GM promoter is inserted in the vicinity of a dormant virus, it might switch it on, resulting in virus activation. DNA changes in GM plants can alter the amounts of the chemicals the plant naturally produces, increasing its output of toxins or decreasing the amount of protective phytonutrients produced. For example, GM soybeans produce less cancer-fighting isoflavones. GM proteins in soybeans, corn and papaya are similar to known allergens and may cause allergies. More than 20 farmers in North America have reported that pigs fed GM corn had low conception rates, false pregnancies or gave birth to bags of water. Both male and female pigs became sterile. In 2003, approximately 100 people living next to a Bt cornfield in the Philippines developed skin, respiratory, intestinal reactions and other symptoms while the corn was shedding pollen. Blood tests of 39 people showed an antibody response to Bt-toxin. Symptoms reappeared in 2004 in at least four other villages that planted the same GM corn variety. GM soy was imported into the UK shortly before 1999. Within a year, soy allergies in the UK had risen from 10% to 15% of the sampled population. Antibody tests show that some individuals react differently to GM and normal soy varieties. GM soy has higher levels of a known allergen. And now, here’s that list of what you don’t know about GMO foods! The time has come to choose between GMO-based or non-GMO-based world food supply. The Raw Truth About Arctic Apples — Time to Invest in GMO Stocks?